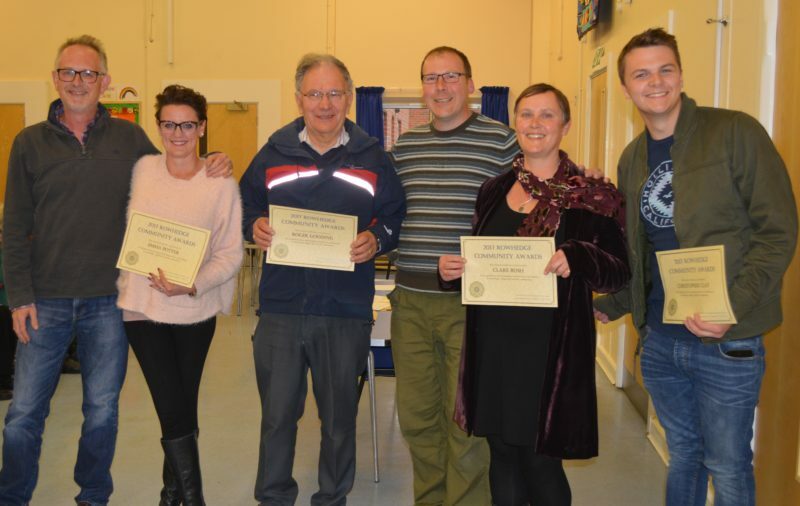 East Donyland Parish Council hosted the 2018 Rowhedge Community Awards on 26th April as part of the Parish Assembly. The winners of the awards in 2018 were: Kerry Malcolm, Julian Brett, Emma Peel, Elizabeth Trellis & Barbara Sanderson. The aim of these awards is to contribute to developing community spirit and helping to promote activities that EDPC considers important for Rowhedge. The winners of the awards in 2017 were: Clare Bush, Chris Clay, Roger Gooding & Emma Potter – congratulations to them all on their well-deserved awards! 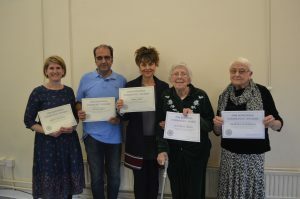 All awards are to recognise those individuals in Rowhedge who have made or are making a positive contribution to Rowhedge life and are showing leadership, initiative or commitment in the local community. The council may make up to three awards in any one year, including one or more for a person under 18 years of age. No serving Councillor or Officer may receive an award but may nominate someone. The award can only be given to people who live or work in Rowhedge. The nominator must live or work in Rowhedge.